Yum cha is the Cantonese tradition of brunch involving Chinese tea and dim sum. Translated literally as ‘drink tea’ it is popular is most Cantonese regions and Chinese communities around the world. Yum cha generally involves small portions of steamed, pan-fried, and deep-fried dim sum dishes served in bamboo steamers, which are designed to be eaten communally and washed down with tea. People often go to yum cha in large groups for family get-togethers or celebrations. The history of the tradition can be traced back to the period of Xianfeng Emperor, who first referred to establishments serving tea as yi li guan, “1 cent houses”. These offered a place for people to gossip, which became known as cha waa, “tea talk”. These tea houses grew to become their own type of restaurant, and the action of going there as yum cha. Travellers on the ancient Silk Road were in need of a place to rest. Thus, teahouses were established along the roadside. An imperial physician in the third century wrote that combining tea with food would lead to excessive weight gain. People later discovered that tea can aid in digestion, so teahouse owners began adding various snacks. The ways in which dim sum is served has varied over the years. The traditional method involving push-carts, dates back to the early 1960s, when dim sum items were pre-cooked in advance in the kitchen and brought out into the dining area in baskets by the restaurant employees. Later on, pushable trolleys with a heating function (often using gas) were used, allowing more items to be brought out at once. Employees would call out the items they were carrying, and a customer who want to order items would then notify the server, who would place the desired items on the table. This allows the customers receive hot, fresh items quickly and is efficient during periods of high patronage. A traditional dim sum brunch includes various types of steamed buns such as cha siu bao (a steamed bun filled with barbecue pork), rice or wheat dumplings and rice noodle rolls, which contain a range of ingredients, including beef, chicken, pork, prawns, and vegetarian options. Many dim sum restaurants also offer plates of steamed green vegetables, roasted meats, congee and other soups. Dessert dim sum is also available and many places offer the customary egg tart. Dim sum is usually eaten as brunch. Due to the prolific existence of Chinese communities, Yum cha in Australia is widespread and universally enjoyed around the country. 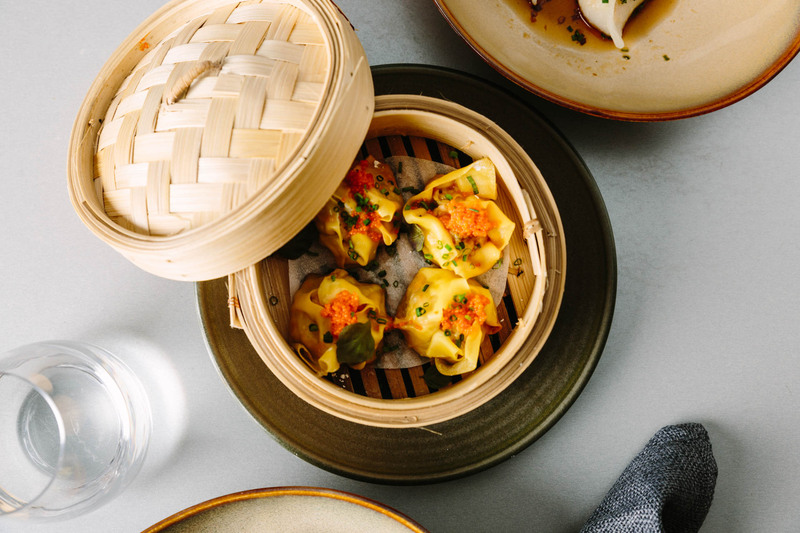 Because of our long and rich history with Chinese settlement, and the general population’s love of Chinese food, the concept of Yum cha has been able to grow and diversify. A huge and range of dim-sum and dumplings are now made in Australia and imported from Asia for consumption at home and for the convenience of restaurants. Most traditional restaurants make there own, either buying in the pastry to wrap handmade fillings, or also making the pastry from scratch. There are now top-end restaurants creating their own luxe versions of Yum cha, wrapping premium ingredients with handmade wrappers and charging a hefty premium. The inclusion of native Australian spices and ingredients are sometimes included to give them a unique Aussie twist. 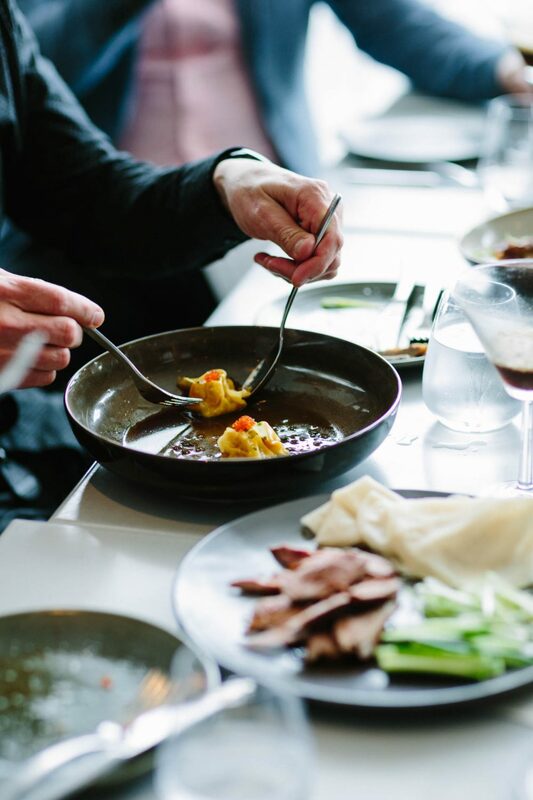 The driving force behind yum cha at yellowtail is to offer people a quick affordable and tasty lunch, that is an escape from the day, without the formality that you may experience dining with us in the evening. A fun way for local office workers to break up their day, while eating delicious exciting little plates of food. Somewhere for travellers and locals to escape the heat of Summer and enjoy quality cheap eats and drinks in the heart of Terrigal. 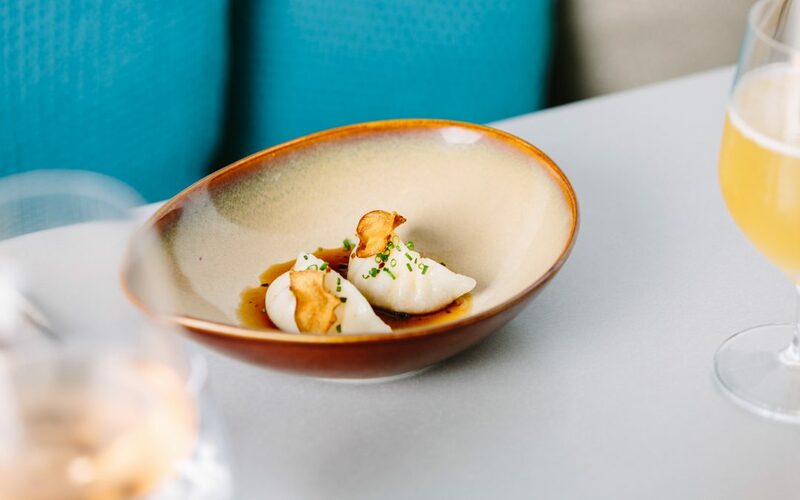 We are evolving the menu as we go, but we are certainly focusing on quality ingredients and a modern Australian interpretation of yum cha dim-sum. You can find our current menu here. We have been fortunate enough to secure a supply of pristine scampi meat from western Australia. In a bid to do this justice we are making the ‘crystal pastry’ ourselves from scratch. Adding just some ginger and chives to the sweet scampi to enhance the flavour and carefully wrapping them with the translucent wrapper. Pork wontons in chilli oil are a traditional dim-sum. Here we add diced duck to the mix with rice wine and sesame oil. They are steamed and then panfried on one side until crisp. We are now open 7 Nights for dinner, and Friday – Sunday for Yum Cha lunch. 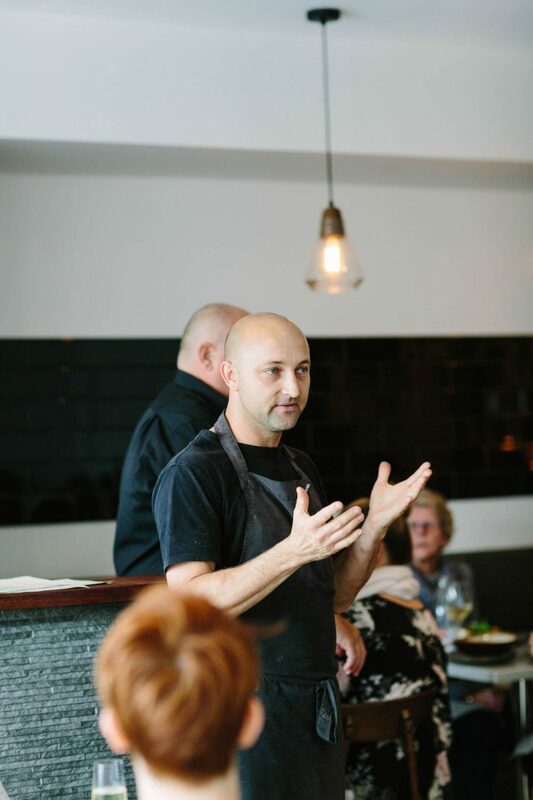 Come visit us at Yellowtail Restaurant Terrigal and experience the Yellowtail difference. Pork spare ribs are a traditional and popular yum cha dish. Here we mix it up by using chicken spare ribs. With only two per chicken, they are quite a unique little cut. Tender, skinless, and just one flat bone that slips out easily when you eat them, they are a must try. Lightly dusted in rice flour and Szechwan pepper and fried until crisp with chilli and shallots. 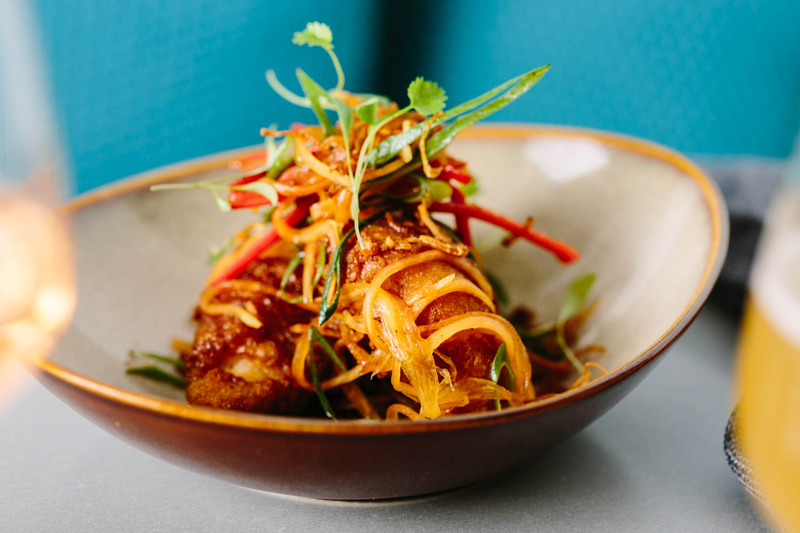 A modern yum cha classic, popularised by Sydney institution ‘Golden Century’. Our pippies are sourced locally from Ballina and arrive live. We make our own XO sauce from dried scallop, chilli, garlic and Chinese sausage.